I woke up this morning not feeling good, it was not a physical feeling more of a weight or sadness. I felt slightly out of it of sorts, although out of what I didn’t know, and then I realized an hour after I had gotten up that what made me a woman came to visit me. Huh?? you ask…well lets say, and this is being mindful of the men who might be reading this, Aunt Flow came! !, wearing a bright red outfit and carrying a bright red grip!, she just popped up out of the blue, or red I should say and it was then that I realized that the feeling that I had been having from Saturday was my mind and body warning me of her soon to be surprising visit. Don’t get me wrong she was expected to come, after all she pops up every month like most people who has a commanding aunt such as I do , but in my case she is not always on time and some times she skips a visit, frightening me and making me worry if her children will visit instead. Which would be nice for my husband since he loves children. So I have been laying in my bed all morning trying to manage Aunt Flows visit, watching her run here and there and just trying to contain and settle her in one place until she leaves, when it came to me that I should write about the Importance of women in society and Our roles and contribution to the world since the beginning of civilization. Yahdi Yahdi Yah!!! about Eve, I do not believe it! !… King James and his forty seven scholars made that whole story up, and I will not take that back!….. So as I laid in my bed watching Inside Edition, the name Queen Anna Nzinga came to my head over and over again as if she was calling me, and I thought about writing about this fascinating Angolan woman because I believe half the world has never heard of her. I looked on the table by my bed side and saw a book titled Black Women In Antiquity, by the very brilliant Ivan Van Sertima…..and I just knew I had to get up and write not only of Queen Anna Nzinga but other women of old and even present including my own mother. I had read about Anna Nzingha in another book before Professor Van Sertima’s book and that book was called The Destruction Of The Black Civilization by Chancellor Williams. The excerpt I will be writing from about Queen Anna Nzingha will be taken out of the aforementioned book by Ivan Van Sertima. Her extraordinary story begins in 1583, the year of her birth. she is known as Jinga or Ginga, but often as Nzingha, and she was the sister of the then reigning King of Ndongo, Ngoli Bbondi, whose country was later called Angola. Nzingha never accepted the Portuguese conquest of her country and was always on military offensive. As part of her excellent strategy against the invaders, she formed an alliance with the Dutch, whom she intended to use to defeat the Portuguese slave traders. At her request, she was given a body of Dutch soldier; the commanding officer said this of her, “a cunning and prudent virago, so much addicted to arms that she hardly uses other exercises and withal so generously valiant that she never hurt a Portuguese after quarter was given and commanded all her servants and soldiers alike”. Her most enduring weapon was her personality. She was astute and successful in consolidating power. She was particularly good at safeguarding position by ruthlessly dealing with her foes and graciously rewarding her friends. She possessed both masculine hardness and feminine charm,which she readily used, depending on the need and the Occasion. Because of these attributes, her leadership was never seriously challenged. She forbade her subjects to call her Queen. She preferred to be called King and, when leading her army in battle, she dressed in mens clothing. On December 17, 1663, this great African woman died. With her death, the Portuguese occupation of the interior of South West Africa began. The massive expansion of the Portuguese slave followed this event. I remember growing up in Jamaica with my My mother and Father along with my sisters. Although my father was very present in the household it was my mother who called all the shots. I remember as a child about five or six years old my father came home one morning about 5;30 or 6 o’clock, and as soon as he came in my mother attacked him with a Bobo dread straw broom while I sucked my best friend, my thumb and watched. He never fought back he just ran out of the room and into the yard. My Mother worked at the University Of The West Indies, and every evening she would stop at the Papine market and buy provisions to bring home, we never went hungry, and we had clothes galore. My mother would sing while she cooked out back in the kitchen and she was and still is the best cook ever. Because of her singing I know many of Jamaicans cultural songs, made ever more popular by the esteemed Louise Bennet. My mother taught us how to cook, clean, sew, iron and made sure that we all got a proper education, and when there were times when we argued or had fights with other people my mother was there to defend us regardless of the situation. This is the way I am with my children today because of this great lady..Mama!. When evening would come down, and as a small child in Jamaica, I along with my older sister would stand at the gate sucking our thumbs looking desperately in all the busses and mini vans that passed by to see if Mama was in anyone of them, and when we did see her we would jump and shout, run up to her take her bags held onto her and sing “Mama come! Mama Come!!. Seeing our wonderful mom come home was like getting the biggest plate of stew peas and rice that she and only she cooked soo well!!!. It is because of my mother that I have grown responsible disciplined children, (well with the exception of one who just recently according to our Jamaican saying “start smell him arm”! ), but that has changed since….Love you Mama!!. 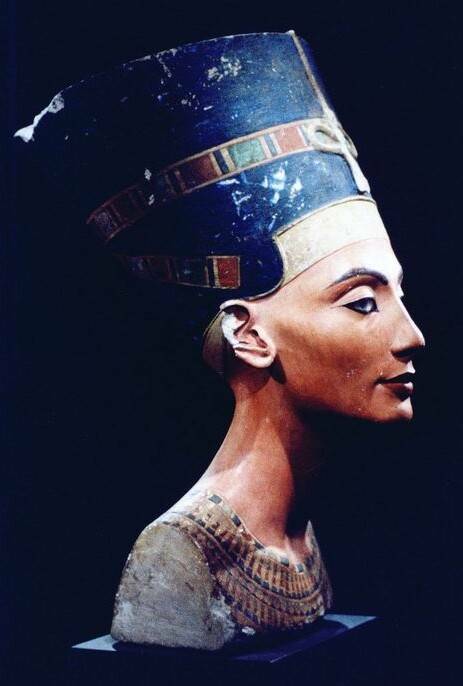 In future posts to come I will be honoring many more great women, Of antiquity and of present times. Big up Lady Saw, Tanya Stevens, Nadine Sutherland, Marcia Griffiths, my sisters, Lousie Bennet, Portia Simpson, Oprah Winfrey, Hillary Clinton, Maya Angelou, all the ladies on Embracing Spirituality you know who you are, my daughters, miss Sterling my kids nanny, my neices, Joy Fodderingham….The Higgla across from where we lived as a child Miss Hilda, Irma the barmaid! Fatty the dry cleaner, Miss Dottie the neighborhood Informer…..readers add your own big ups when commenting……..Nefertiti, Queen Tiye, Yaa Asantewaa, YeYe Osun Of Lagos, Osun, Yemoja, Oya, Oba, Saint Theresa Hatshepsut, Cleopatra, Makeda Queen of Sheeba, and many more. @Virgin, I totally agree with you about little black girls needing to hear of these strong black women and men. Obara I love this article. Keep on doing a great job…..
Never knew about this Angolan Queen.Little Black girls need to hear these things. If as a child I knew this, Wonder woman would be replaced by a black super heroine, feminine and masculine at the same time. I really love these articles, you are really giving us a wonderful gift. i want to honor my mother my too…she is the epitome of grace, excellence and excellence on par…i love her…there’s nobody like her…she makes my heart sing….a great role model and a wonderful caretaker…there is nobody like my mother…she is the best woman in my life.